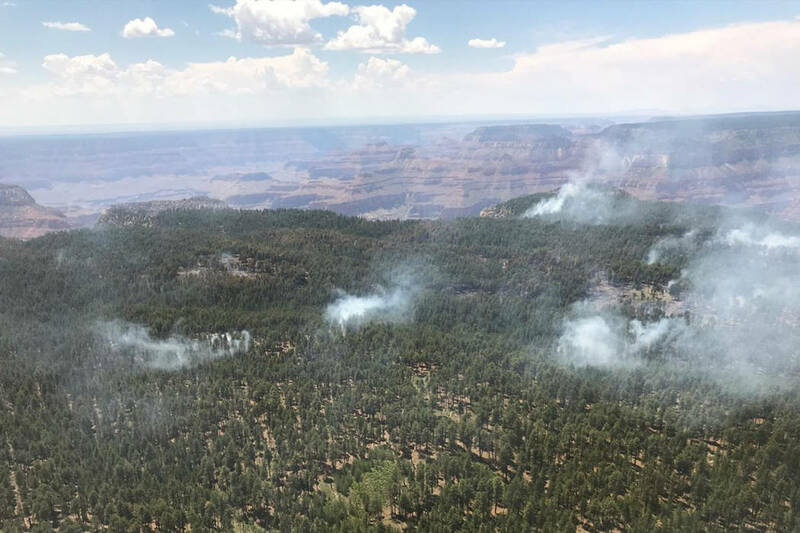 Grand Canyon National Park is closing a scenic road to a North Rim vista and two trails because of a lightning-caused wildfire that has grown to 3.5 square miles. Park officials said Cape Royal Road, Cape Final Trail and Cliff Spring Trail would be closed Saturday night for public and firefighter safety. The closure does not affect most North Rim facilities, including lodging and other services near Bright Angel Point. Park officials say smoke from the fire is visible from both rims and that visitors may see smoke or haze in the canyon. In 2016, a wildfire forced the closure of access roads and viewpoints to the North Rim, a popular spot for tourists in summer. The lodge, campground, bookstore, gas station and other amenities at the North Rim close for several months each year, usually from mid-October to mid-May.